As I get older I begin to appreciate more and more the power of passive income. How awesome is it to figure out a way that you continue to earn based on earlier investments or efforts? Of course at this website you would expect me to talk about passive income as it relates to residential investment property. And you’d be right. But in this article I’m not going to bore you with breakdowns of cash flow. You can find that elsewhere in the website. But I am going to ask you to stop, just for a minute, and imagine your life with more passive income. What would your retirement be like? How much earlier could you retire? What would you do with your retirement? Passive income is allowing me to ride my bicycle more. It’s allowing me to see Mexico more. It’s allowing me more peace of mind. And how much is that worth? Income property isn’t the only form of passive income out there. But I FIRMLY BELIEVE that each investment portfolio should have at least a measure of rental properties. 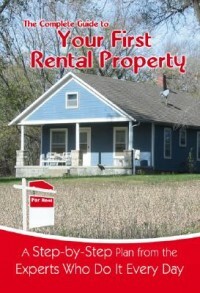 Yesterday I did a post describing the benefits of a rental property after 20 years of ownership. Please read Real Estate Investing Versus The Stock Market : Part 1 for the entire scenario and to catch up to where we are today. Because today we’re going to ask what if you had taken that $38,500 ($35,000 for the down payment and $3,500 for closing costs) and left it in the stock market versus investing in a rental house. I will readily admit to not being as in tune with the stock market as quite possibly many of our readers. I do real estate. So that makes sense. Yes, I have an IRA. Yes, my wife has a pension with KPERs. Yes, I have other investments (though not large) in mutual funds and one other well known stock. The point is, I don’t eat, breath and live in the stock market. And I don’t believe most working professionals have the time or expertise to follow the market on an hourly or even daily basis, either. So we’re going to say that your $38,500 is in a nicely performing mutual fund (or stocks, heck, I don’t care.) that after all the buy fees, sell fees, yearly fees, etc, is yielding you a nice return of 9% per year, for the next 20 years. I’m told, and have researched, that 9% is a good return number to be expected. (Are you getting 9%?) Yes, I am well aware that spikes and dips can happen. But how is that any different than real estate? So, using a very simple investment calculator math you simply take that $38,500 at a 9% annual return and you end up with a balance of $215,770. Looking at yesterday’s real estate returns after 20 years (but not calculating increases in rent or tax benefits and conservatively adjusting for additional obsolescence) we had a total benefit of $216,611. The same $38,500 invested in the stock market over the same period of time became $215,770. Can we agree here that the difference is not that great? But what if…? Rents rise and fall like housing prices…and the stock market. Let’s just say that rents rise over the years at 2%, or slightly less. Not unusual. Well, with that being the case, we have a different ball game. Remember, our Part 1 scenario considered the cash flow before taxes to be $1,536/yr based on a rent rate of $1,575. Now lets say that we calculate the rent rises. I won’t bore you with all the math, but it takes our total 20 year cash flow before taxes number from $30,720 to $63,150. That’s another $32,430 in favor of the rental house. Listen, in my experience real estate is not as easily liquidated and carries more risk. However, it is easily leveraged by real estate investors with good credit and assets and you can harvest the equity out of this house 10 years in to create a second income property with similar numbers. Now the game has changed! To be fair, stocks/mutual funds take less management, are easier to liquidate or buy/trade, and carry a whole let less risk. And, let’s be clear, I own both rental property and mutual funds/stocks. My preference after I have maxed out my IRA (and that of my wife) each year is to put the money in to real estate. Just makes more sense to me. Why? Real estate has better returns. Real estate has better tax advantages. Real estate can be passed on capital gains tax free. Real estate can be leveraged. Some one else (tenant) is providing some of the equity growth. I have more control over house or property manager than I have over a far away company making widgets. I could go on and on. I am not saying don’t invest in the market. I am saying, you should also be investing in real estate. I have not done this for a while so it’s time to do it again. Let’s look at real estate investing versus the stock market. You may want to get comfortable and get out a calculator to follow along. Part 1 isn’t a short post. But when it comes to your retirement, shouldn’t you invest a few minutes to see whether you should leave that $35,000 in the stock market or to put it in rental housing? Let’s say you are 45 years old with a plan to retire in September of 3034 at 65 years old. You are maxing out your IRA contributions every year (Roth or Traditional, I don’t care) and/or are using your employer’s retirement plan. Still, you have extra monies that you invest passively in the stock market in some mutual fund that isn’t giving you the results you are after or desire or heck, you just want to diversify. In our scenario about to unfold you will need approximately $38,500 in cash to pay for the down payment and closing costs. The mortgage company will insist that this not deplete all your “on hand” cash so you’ll still need another $6,000-$8,000 in reserves easily accessible. First let’s look at the income property we are going to acquire. It’s a “typical” lower bell curve house in Johnson County, Kansas, a “better-off” suburb of Kansas City, Missouri. The house would most likely be in Overland Park or Olathe. Quite possibly it will be a 3-4 bedroom, 2-2.5 bath split level home with a 2 car garage in either the Shawnee Mission or Olathe School Districts. Good school districts. We’re also going to say, for the sake of this argument, that the home is a turn-key investment property that is professionally managed by us. The negotiated purchase price will be $175,000 plus roughly $3,500 in closing costs since you will be leveraging with a 30 year mortgage at 5.75% with 20% down ($35,000) and, hypothetically speaking, closing on August 30, 2014 making your first payment due on October 1, 2014. Therefore, your house payments will be $817.00 for principal and interest only. A house such as described should rent for about $1,575 all day long with good demand and, in our current rental market, with less than 30 days of vacancy. That translates to a $18,900 a year in income. No. You do not get to spend all that! Because first, there is vacancy. Our Kansas City area property management company, KCPropertyManager.com has over 200 homes in our portfolio and we can tell you that on the Missouri side vacancies run about 7-8%. On the Kansas side, at least right now, vacancies are running closer to 3-4%. I have written many times about the 4 Benefits of Real Estate Investing so you can go back to those posts to see the details. CFBT = NOI (net operating income) – Annual Debt Relief. For our example Kansas City rental property here the Cash Flow Before Taxes is roughly $1,536/yr. Or a whopping $128/mo. Vacation baby! Uh, no. The cash for this particular house is enough to cover all the expenses and build a very modest reserve as time flows by. But you are not going to Europe for a month with the cash flow. We’re talking about Buy & Hold Retirement real estate investing here. Not cash flow hunting. If you want cash flow, we need to either put more money down or look over to the Missouri side at a lower price point. But then you’ll lose much of benefits 3 & 4 that are still to be discussed. After 20 years of this your income property would have generated $30,720 of cash flow benefits (before taxes). Ah, yes. My favorite benefit of real estate investing. Each month your tenants pay their rent they are also paying down your mortgage! Your rent house, the one not kicking off very much cash flow, after twenty years has a principal reduction, courtesy of your tenants over the years, of $65,571. That’s more than twice your cash flow. Now we’re getting somewhere. NOI – Interest paid (per year) – Depreciation (per year). Suffice it to say that with each passing year your CPA will make sure he is reducing your overall tax burden as much as current tax law will allow. You can always subtract the interest and there is a specific depreciation schedule that extends over 29.5 years. For our purposes in this entire argument, I’m going to pretty much null this investment property benefit. Oh, make no mistake, it’s real but for the purposes of our argumentative experiment we’ll just consider it gravy. Did you live through 2007-2011? Here in Kansas City it was more like 2008 – 2012 when all you east and west coast readers caused our money supply to just stop! So appreciation is not a God given right when you own real estate of any kind. We learned that up close and personal. Right? So, with all that said, let’s say that the income property in question appreciates at 3% per year. That would be a fair slow growth number for the Kansas City area. (Check out the last 10 years on average.) After twenty years, our rent house that you purchased for $175,000 would now be valued at $316,000. That’s a gain of $141,000. Additional repairs. My calculated expenses ratio accounts for the property to pay for most of is own obsolescence and make-ready turn overs. But housing can take hits planned or otherwise. So let’s subtract an additional $8,000 for a roof, $4,500 for heating and a/c, $800 for a water heater and $5,500 to fix a bunch of wood rot and get a good paint job. That’s a total of $18,800. Heck, let’s throw another 10% on top of that and make it $20,680. Sales costs. Well now, this could get complicated. Are you going to sell outright, pay the capital gains and the depreciation re-capture? Not advised. Are you going to refinance and pull the money out to do other things like vacation, re-invest in other housing or stocks? 1031 Tax Deffered Exchange? Or, are you going to let it go and form trust wherein you can leave this property to your kids or heirs, capital gains tax free, upon your passing? These are all scenarios that may very well be different 20 years from now than they are today. So I am not going to figure in sales costs…but not to worry. I won’t figure in sales costs on the stocks and/or mutual funds, either. If you take your Total Benefits – Additional Repairs you have an Adjust Benefits Total of $216,611 after 20 years of ownership of this investment property. So you have been researching rental property and you are drowning in numbers. Cap rates? Cash on cash? Internal Rates of Return? Good grief. What you need to know is that rental property makes money four different ways. These four ways of making money with investment property are all intricately related. For instance, the more cash flow the cash real estate investor goes for the more likely he’ll have little to any appreciation as compared to surrounding areas. Likewise, the more appreciation a long term buy and hold investor goes for the less cash flow he’s like to accumulate (without a significant down payment) because these properties are usually in the nicer areas around town. Sure, there are exceptions to the rule. But what you need to decide as new investor (or experienced trying to re-start) is what the end goal is before beginning. Give our team a call today to help you make a plan for a retirement worth having.